I had thought that applying henna to the hands was something only done by women in association with a wedding. Apparently in modern India it's just something for teenage girls to do to pass the evening, like going to a photo booth or shopping for hair accessories. 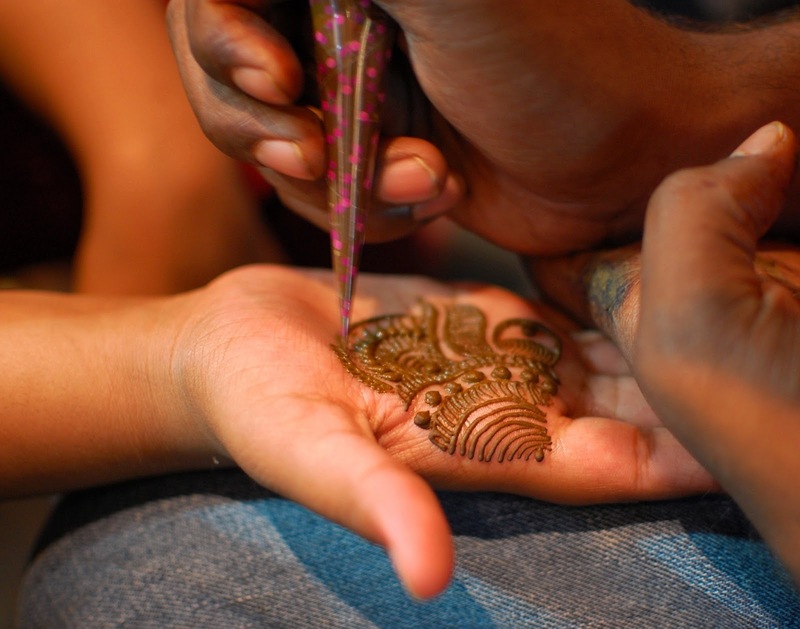 This was at a row of streetside henna artists in Banjara Hills, with their customers being 12- and 14-year-old girls. Love this style of drawing - a cross between freeform doodling and procedural pattern-making. I wonder how long it takes them to do a full sleeve?